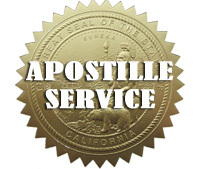 Our organization can obtain on your behalf an Apostille on a document originating from the State of New York? If you plan to live, work, get married-in, or conduct business in another country, you will be required to have your documents authenticated. We provide EXPEDITED, EFFICIENT AND PROFESSIONAL document authentication service from the New York Secretary of State to be used in another country who is a member of the Hague Apostile Convention. Documents from New York are processed through our New York office. We can authenticate documents issued from or notarized in all 62 Counties in New York including the five borough of New York City. The most popular Counties we receive documents from are: Kings County (Brooklyn), Queens County, New York County (Manhattan), Suffolk County (Long Island), Bronx County, Nassau County (Long Island), Westchester County, and Richmond County (Staten Island). The most popular Cities we receive documents from are: New York City, Yonkers and Long Island.